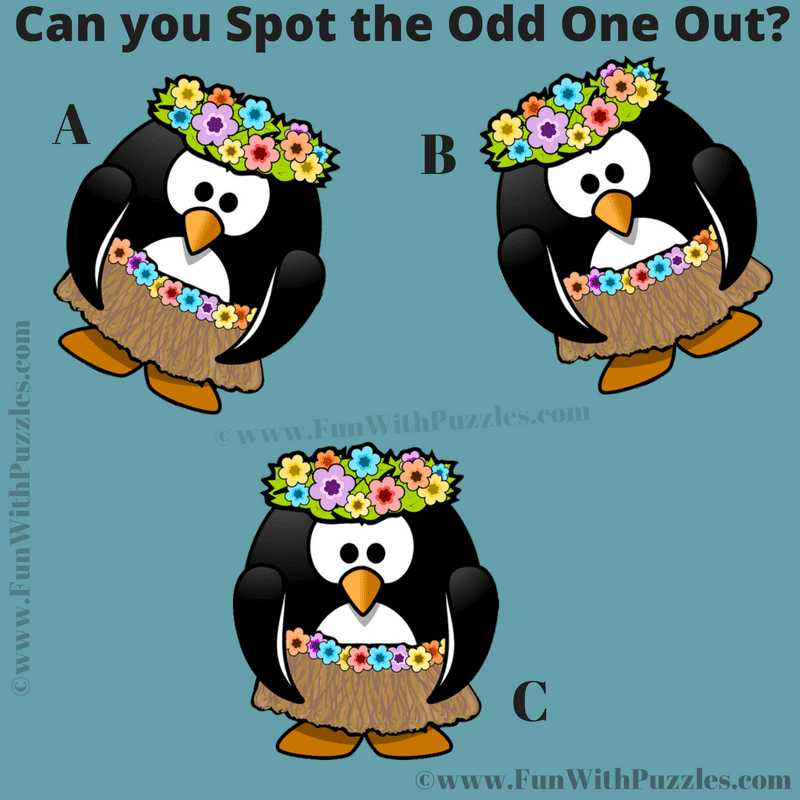 This Odd One Out Picture puzzle is tough and only for adults. If you have a good observation power, then only try to attempt this picture puzzle. Otherwise you can try some Easy Odd One Out Puzzles before trying to solve this picture puzzle. Lets see if you can find the Odd One Out in this puzzle? Answer of this "Hard Odd One Out Picture Puzzle for Adults", can be viewed by clicking on button. Please do give your best try before looking at the answer. Yes, you are right. You correctly solve this Odd One Out Picture Puzzle.